We are still celebrating National Crochet Month, which means a new pattern is now available for the CGOA Mega CAL. 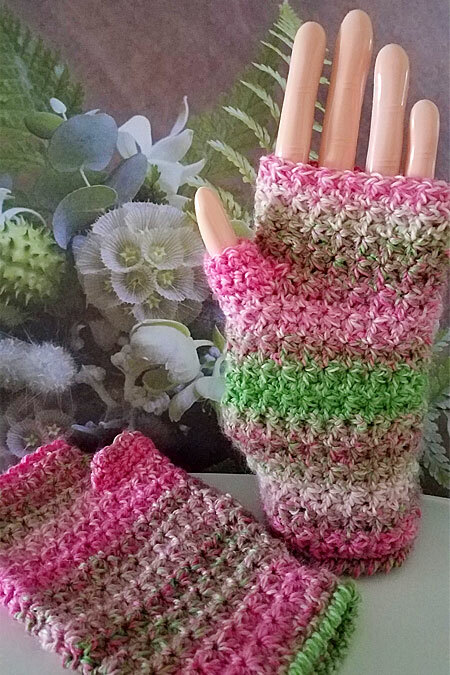 This week’s pattern is “Almost Spring Mitts” designed by Karen McKenna. Be sure your CGOA membership is current because you won’t want to miss this out on this pattern and the others being offered the rest of this month. If you missed out on my Shining Day Wrap pattern don’t worry. It is now available for purchase thru my Ravelry Shop.